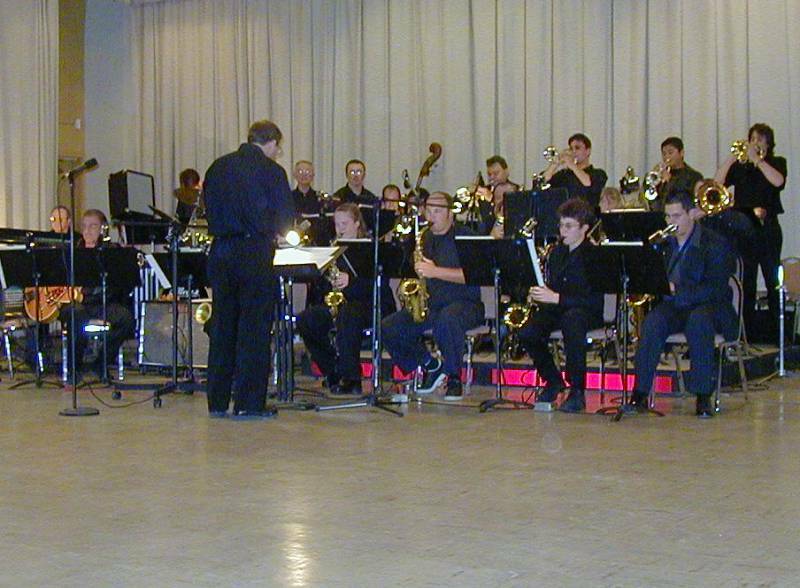 Part of the curriculum at Monterey Peninsula College in Monterey, CA, the MPC Jazz Band, directed by Marty Bartoli, performs regularly at the college in the big band swing style. Yvonne and Norman were invited to sit in with the group in 2000 with Yvonne on third trombone and Norm on bass trombone and we continued playing with them until we left the area in the spring of 2002. In performance at MPC on May 23, 2002, Yvonne and Norm sit at the right end of the second row.